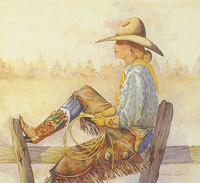 Always watchful, and at the ready. The Hubs and I have been discussing acquiring a sheep dog – someone with brains and quick feet that will help us gather the sheep. We’ve got a large barn but it was originally built with horses in mind and so has many smaller stalls in it. 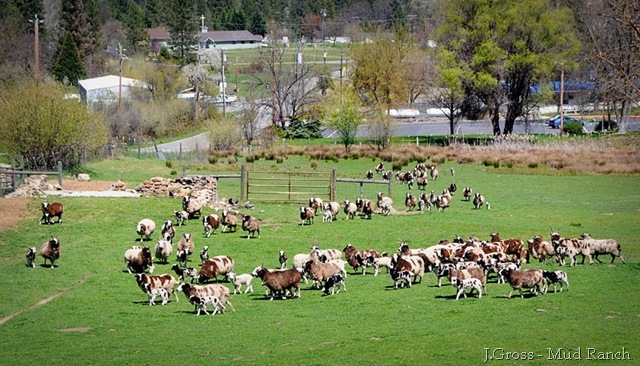 Getting all the sheep from the pasture in to the barn can be quite a chore. There’s almost always a handful of sheep who don’t want to be caught and will send us on a wild goose chase. Granted, a fold to gather the sheep in to before getting in to the barn would be ideal, but a dog would certainly help in all aspects. 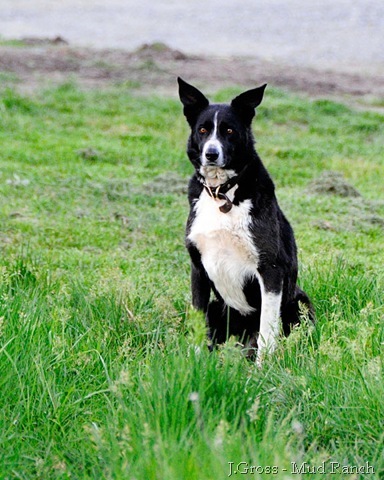 This is what our flock looks like under the rule of a real sheep dog – such ready obedience! 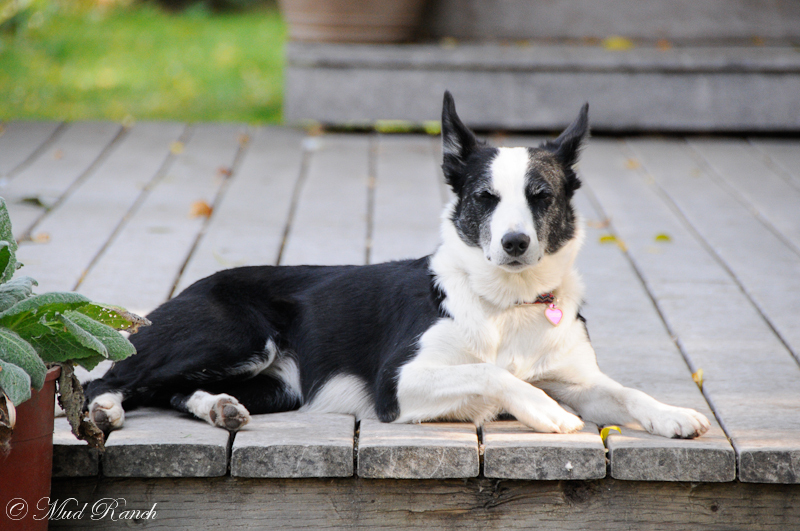 Big, huge, thanks to my dear friend Shannon of Kenleigh Acres for bringing her very funny, and very smart border collie, Kate. 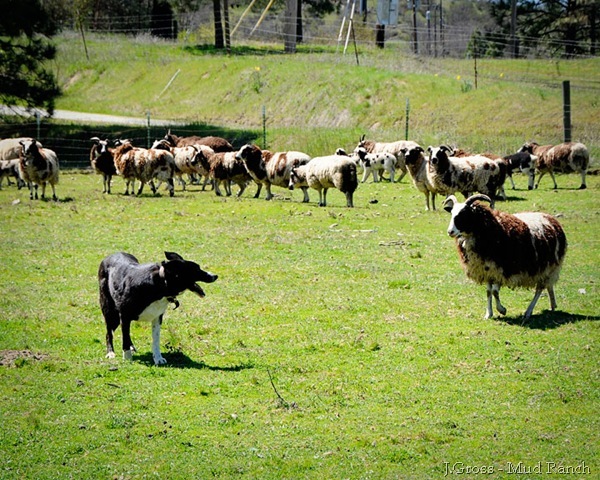 We were given a couple lessons on sheep dog-ness while Shannon visited over this past weekend. 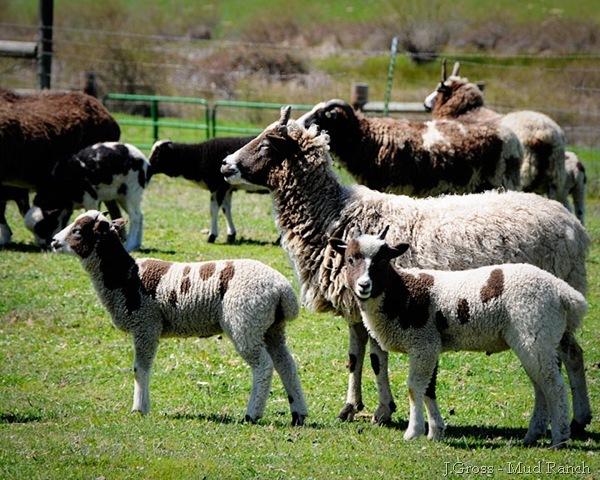 Hubby and I learned a lot and admire sheep dogs all the more after their visit. Fetching the flock from the lower pastures and pushing them up in to a corner of the upper pasture was much easier with a dog. Shannon observed that I have many cliques in my flock, quite a few leaders and independent thinkers which makes a sheep dog’s job a bit hard. The harsh sun and hot weather didn’t help either – nor did Kate’s very black coat. We were all pretty hot that afternoon and I received my first sun burn of the season. Getting photos of the sheep was awesome, however. Getting their attention with a dog is very nice, and I love how the ewes and their lambs pair up so you can see who’s who in the mix. It made identification of the lambs much easier – pictured above are Sarah Jane with her four horned lilac ram lamb, Linden. Unfortunately the afternoon sun is not very nice to photographs – the light is harsh and the shadows are deep. But I was still glad to be able to shoot some pairs. 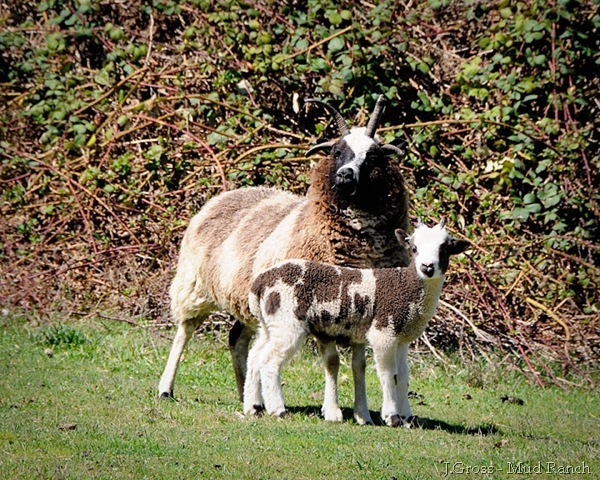 Pictured above are Lou Ellen and her ewe lamb, Poppy, and her ram lamb, Papaver. 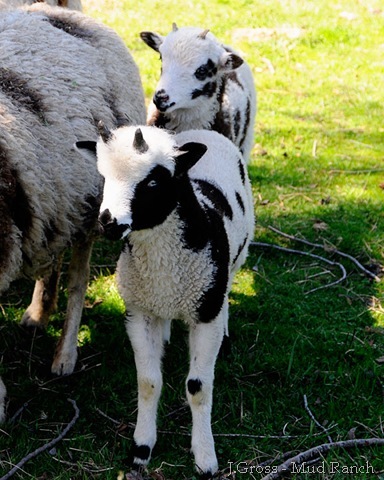 Another favorite pair of lambs out of Aphrodite, sired by Tristan – amazing what a little shade can do for a photograph. 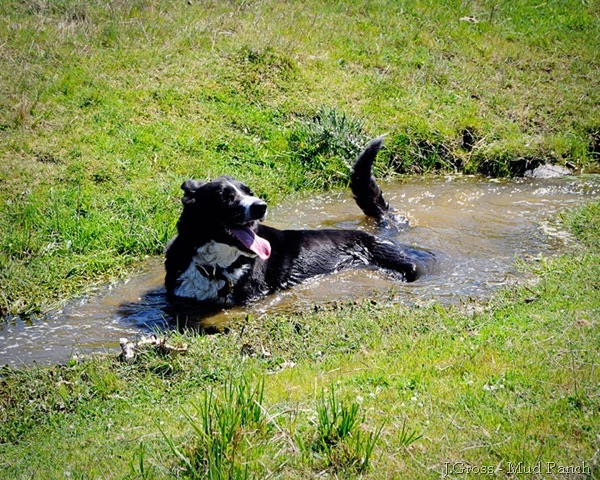 Kate enjoyed a cool off in our little stream that runs through the pasture. Being a herding sheep dog is hard work, both mentally and physically. Kate is from Oregon too, and she wasn’t used to our odd April heat. She and Shannon are welcome at our place any time. We thoroughly enjoyed their visit – and Annie loved playing with Theron too!